Chalk Silhouette Of Rubber Boot With Leaves And Flowers And Lettering.. Royalty Free Cliparts, Vectors, And Stock Illustration. Image 100262806. Vector - Chalk silhouette of rubber boot with leaves and flowers and lettering - Grow your own gardening on chalk board. Typography poster with Inspirational gardening quote. Vector illustration. 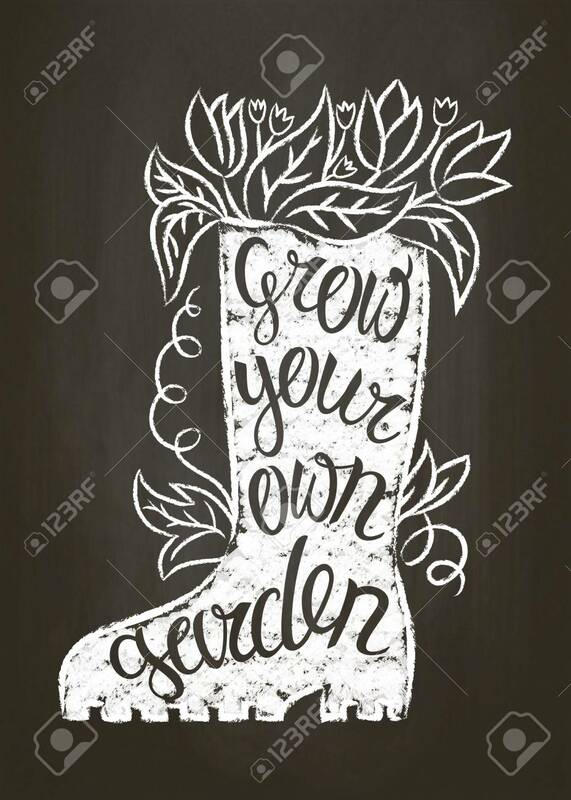 Chalk silhouette of rubber boot with leaves and flowers and lettering - Grow your own gardening on chalk board. Typography poster with Inspirational gardening quote. Vector illustration.